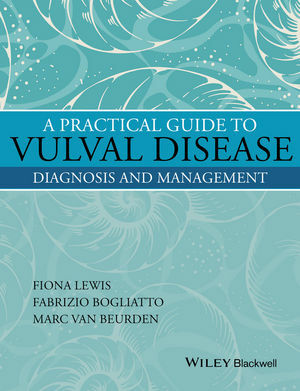 This book is a practical guide to the diagnosis and management of vulval disorders. It offers guidance for all those who are treating patients with vulval disease at trainee and specialist level, helping to improve management for the patient and prevent delays in diagnosis, including referrals to specialists. It contains key information about diagnosis, investigation and basic management, with a section on signs and symptoms guides the reader to the correct chapter for the treatment of that disease. The experienced authors include updated classification and terminology of vulval disease with an explanation of how this should be useful in clinical practice and guidance as to when the patient should be referred on to a specialist. As vulval diseases are different to those of the rest of the skin patients with vulval disease present a large unmet need, often with delays in diagnosis due to a lack of training from physicians. This practical guide provides the specialist knowledge required for diagnosis and treatment of these conditions. Dr Fiona Lewis, Consultant Dermatologist, St John’s Institute of Dermatology and Wexham Park Hospital (Frimley Health Foundation Trust), UK. Dr Fabrizio Bogliatto is Head of the Lower Female Genital Tract Disease Out-patient service in the Obstetrics and Gynaecology Department of the Chivasso Civic Hospital in Turin, Italy. Dr Marc van Beurden was trained in the Academic Medical Center in Amsterdam and did his fellowship in gynaecologic oncology in the Netherlands Cancer Institute, where he holds his current position as consultant since 1997.